A community-minded group of engaged business donors is essential to the success of our collective goals for our schools. 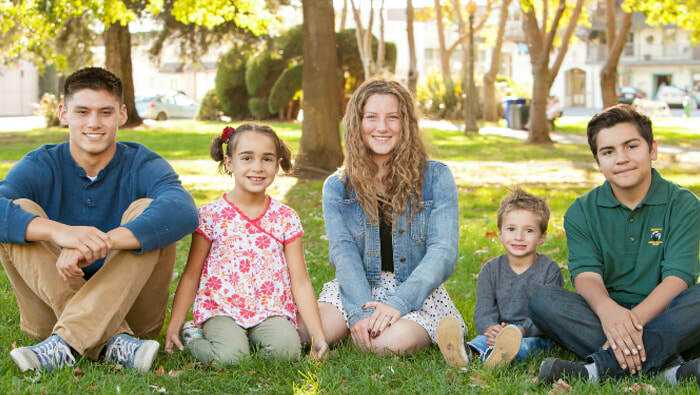 This group shares our vision of a superb school district in Sonoma Valley, which offers innovative, success-driven programs and also attracts young families to the Sonoma Valley. Through the Business Partner progam, community partners are helping us achieve our goal to create a sustainable organization that has a significant impact on the lives of students while maximizing our donors’ investments. Every student in our Valley is worth your investment. For more information on Business Partnerships, please contact Laura Stanfield at ​laurastanfield@svgreatschools.org or 707-935-9566. Dr. Laurent offers a wide array of orthodontic services including early orthodontic treatment, adult orthodontic treatment, metal braces, clear braces and Invisalign®. Laurent Orthodontics is equipped with state-of-the-art technology to ensure patients receive optimum results in the most efficient manner possible. We are very committed to providing exceptional customer service and make every effort to make your visit to our office as stress free as possible. Our highly qualified orthodontist and staff will work to create a customized treatment plan designed to tackle your dental needs. Dr. Laurent will help you obtain and maintain a beautiful & healthy smile! Tina Shone began her career in 1976 as a 3rd generation real estate professional. Living in Sonoma Valley most of her life, Tina has developed an unparalleled network of the best professionals – from title officers, lenders and contractors to architects, designers, vineyard specialists and permit consultants. Working with top talent yields top results. Serving Sonoma Valley for more than 50 years, Sonoma and Glen Ellen Village Markets have become beloved community institutions known for their outstanding service and deep connection with local growers and guests. With extensive selections of high-quality meat, farm-to-market produce, gourmet deli offerings, local and imported wines, artisanal cheese, fresh baked goods, catering and more, these community markets offer all the bounty and beauty of wine country living. Friedman's Home Improvement is the largest locally owned, independent home improvement retailer in Sonoma and Mendocino counties. For over 70 years, they have consistently served customers and community with a commitment to provide great service, a strong line of products, and the lowest price, guaranteed. Friedman’s is your complete project solution. ​The Sonoma Valley Oral Surgery & Dental Implants practice specializes in compassionate care and provides the full scope of oral and maxillofacial surgery services, including dental implants and wisdom teeth removal. Dr. Timothy Irish DDS, MSD specializes in orthodontics and preventative care for children, teens, and adults. Whether you are dealing with a bite problem or looking to straighten crooked teeth, our professionals will ensure you are comfortable and receive the highest possible care.